Yes, You Have Read it Correctly...! When my mum came up with the idea of sending our customers free perfume samples I have to admit, I panicked a bit! I did try to reason with her, to get her to understand that she didn't have to go quite so big...after all most sites just offer a free newsletter or a free ebook, I could't see a reason to spend so much money. And the bigger her plan got the more I loved it. Let you see what it is you are supporting. More importantly, let you see how much there is to love about our products. In fact I am really, really excited now. In fact I have butterflies just thinking about it, it is going to be so much fun. Especially since we are sending you are whole load of other goodies for you to play with too. Not only are we going to give you a choice of 1ml free perfume samples but we have decided to send you money off vouchers for you to buy the perfumes that you like. If that were not enough we have decided to go the whole hog and send you a list of the free beauty samples that you can redeem on the proriducts that you choose. But the biggest this is that we are issuing a login code for you to have permanent access to discounts on our products as a favoured customer. I can hear you saying it from here, because that's what I'd say too. Well the catch is that I shall have your email address and so it means that you will get emails of me each time I have updated the website with something new. And there is a warning too. As you can imagine a tiny company like ours can't send millions of bottles around the world so this is only open to the first hundred replies and sorry I can only send free within the UK. If you are outside of the UK, and you would still like to try, we are happy to send you free perfume samples but, I am afraid we simply cannot afford to pay your postage. If you are happy to pay for the shipping, please contact me so I check out a price and put a paypal button for ease. I am sorry that we can't do everyones postage free because it's simply too expensive, please accept my apologies. But that's it. There's no other catches as far as I can see. You can unsubscribe at anytime you feel that you have had enough of learning about essential oils or aromatherapy too. Don't worry either, we won't be bombarding you with spam and we won't pass your address to any other parties. The amount of spam that I get off one certain webdeveloper (which I cannot block however I try) means that I know how annoying it is, so you can trust me on that. It's just a great opportunity for you to try the perfume and see just how gifted mum is at blending them. Remember these free perfume samples are not available in any stores. They are the most exclusive bespoke perfumes and they are really something special. This is a very valuable opportunity, you simply should not miss it. I am absolutely certain that you are going to love them as much as I do. What's more is it's such a great opportunity to try before you buy. Not only that, but I am so excited for you and to see just how good our service is too. I know I really value a company that can deliver quickly and reliably, I am sure you do too. Don't forget either that we are going to send you coupons for your free beauty samples too, so the fun just keeps on going. It's important that you remember though that there are only a hundred samples available so let your friends know straight away. They'll thank you for it...unless of course you want to keep the big secret to yourself, which of course I wouldn't blame you for either. Do you remember what it used to be like when you used to sign up to be a fan club for a band in what my kids call "the olden days" You don't get that thrill waiting for stuff any more do you, that's a loss don't you think? So here you go....you can get excited, waiting for your free perfume samples and vouchers. You are going to have so much fun shopping on the site again when you see how much money you can save, I promise you. So come on what are you waiting for....? Here's how to get your free perfume samples. All I want you to do is fill in this form and tell me which one you would like to try. Click send and send me the form and we will send it out your free perfume/cologne samples out to you straight away. If you do want more information to help you choose which one is right, have a look at the pages here, there is loads of information about each of the different perfumes that we stock. free essential oil use chart too. Which Perfume Would You Like? 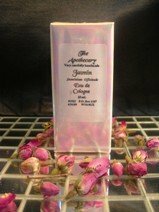 I promise to use it only to send you our monthly newsletter for The Apothecary- The Oily Rag. Please don't subscribe if your expecting or wanting a daily newsletter from us. We hate having our inbox filled with useless content and sales messages. We bet you feel the same way, so we don't do it.